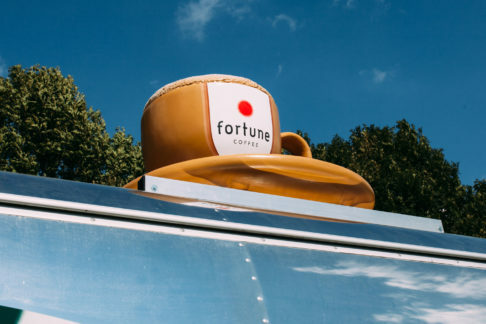 For Fortune Coffee we built a Coffee Trailer that can be deployed at events, open days and exhibitions. We placed four different Passio coffee machines in the Revival Trailer from which the best coffee is served. 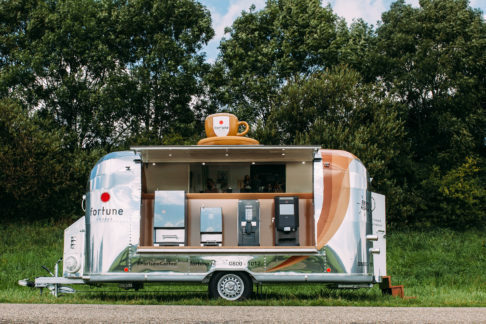 The Coffee Trailer tours throughout The Netherlands along places where Fortune’s clients and suppliers attend or organize an event. Small businesses and sport clubs can also use the Coffee Trailer on their events.